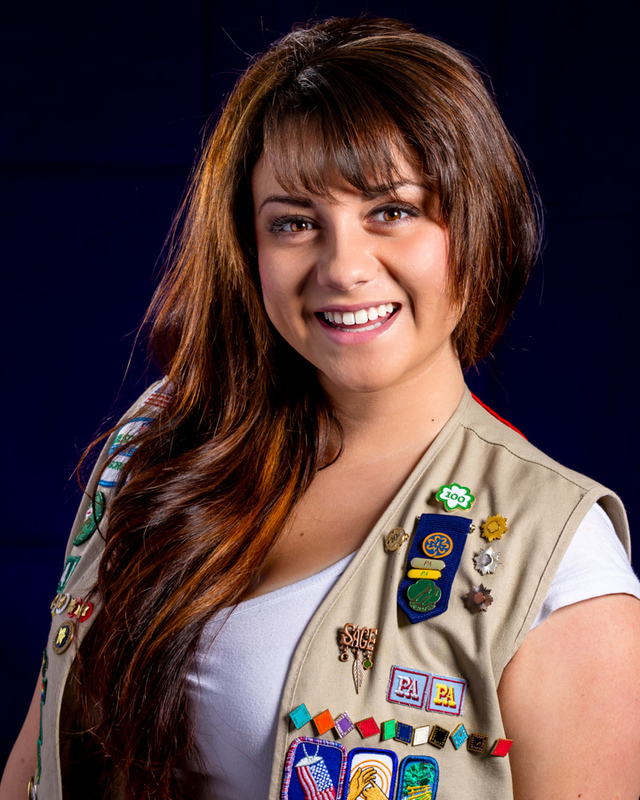 The Girl Scouts of San Gorgonio Council would like to congratulate Carley Potter, 18, former Miss Teen Canyon Lakes and member of Troop 634, on achieving her Gold Award. Her project, “Cotillion Closet,” worked with the local Canyon Lakes club of the same name, where children from the area gather to learn etiquette, dance, and the value of dressing well. Before beginning her Gold Award, Carley noticed that during her sophomore year in high school her own girlfriends were declining to attend school formal dances due to finances. She then read an article in the local paper stating that the Cotillion Closet was in danger of closing due to a significant decrease in membership. After reading the article, Carley was sure she had found a need in her community. She chose to create the non-profit organization Prom Dress Swap and Shop. It is a boutique that runs twice a year; opening after winter break and ending after prom season in May. During the year, Carley collected, cleaned, and mended gently used prom dresses, along with accessories such as purses, shoes, and jewelry to create ensembles. “Recycled and repurposed formal wear is necessary so that someone else can be Cinderella and enjoy the ball,” said Carley. Her hard work ensures that youth who’s families do not have the ability to purchase formal wear can now attend high school and other special occasions in appropriate attire. Carley also advertised her dresses for rent in the local newspaper and at her alma matter, Temescal Canyon High School. “It let’s girls know that they have any alternative to buying expensive formal wear,” said DJ Potter, Carley’s mom. During her first year running the program, philanthropists from the Canyon Lakes area unexpectedly offered to help girls afford prom tickets. “I couldn’t believe it! Money was being donated for our cause above and beyond anything I had hoped for. Our Cinderellas were going to the ball after all,” said Carley. With the help of these anonymous donors, four girls from her school received their prom tickets . Ed Strong, facilitator at Cotillion Closet, and Wendy Rodriguez of VIP Events aided Carley in opening her Prom Dress Swap and Shop. Due to the success of her first store, Mr. Strong suggested she do the same project for Cotillion Closet as he recognized a similar problem regarding formal wear for Cotillion girls, ages 8 to 14 years old. After successfully completing the project for Cotillion Closet, Carley’s popularity in the area had spread to the local Women’s Club, where she was asked to found a similar program for the ladies’ formal events. On March 5, 2014 Carley received a Proclamation from Canyon Lake City Council recognizing her Girl Scout Gold Award and project. Carley continues her project, despite having graduated from high school last year. She returned home for spring break and is organizing another season for her Prom Dress Swap and Shop. “I feel like I am on top of the world by earning my Gold Award! It has already opened many doors for me. I honestly think it was one of the deciding factors of me getting into the private college I am attending because during my interview they saw that I was working on it and asked me about it. One of the interviewers happened to have been a Girl Scout herself and was blown away by this achievement. Another interviewer was an old Eagle Scout and recognized it’s significance,” said Carley. Previous Previous post: GOLD AWARD SPOTLIGHT: Alannah heals the hearts of kids with a little help from books! Next Next post: GOLD AWARD SPOTLIGHT: Casmira’s “Project Read” brings books to back to school!